Oh AP season... One of the most dreaded weeks of the school year! As much as I dislike Advanced Placement tests, I'm lucky to be going to a college where you can get credit for certain AP scores, so I'm more motivated to do well on them. Since multiple choice and standardized tests in general are definitely not my strong suits I really have to study a lot to do well on them. I've come to find what does and doesn't work for me when it comes to studying, so I wrote up a little guide on how I prepare for AP exams below! These don't always make sense to use for every AP, but in general, buying the AP study book for your class can give you a great outline of all the material you have to know. AP US History, for example, had so many decades of events you have to be familiar with, so having summaries of everything in one book is very helpful! Take a chapter a day and read through it, highlight it, and make flashcards with the important terms. I cannot even begin to describe how much I love Quizlet. If you haven't heard of it (I really don't know how you've survived high school), it's basically an online collection of flashcards that you can make and then practice. You can also play games and take practice tests with all of your terms which can actually make studying sort of fun! There's no way I could ever sit the day before an exam and crank out all the terms I need to know. Instead, I find studying in one or two hour long chunks is much more beneficial. Not only do I pay more attention but it also helps me remember things better so I come back later and re-review them again. I don't know about you, but I need to mix up where I study so I don't get bored. Try studying with a friend at a coffee shop, then in your bedroom at your desk, then at your kitchen table, the library, etc. A change of both pace and scenery is always nice when you have a lot to do! 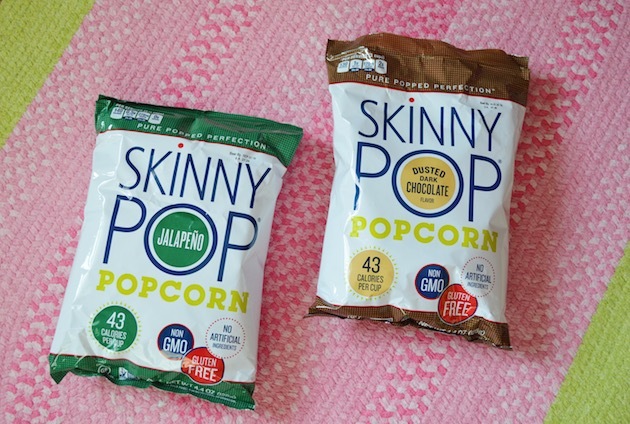 Thanks to Skinny Pop for sponsoring this post! What do you do to prepare for AP exams? Share your tips below! Quizlet is great! There are a lot of online resources and even pdfs which are very helpful. I know for APUSH or AP Gov Adam Norris puts out great videos. If any visitors want more information about Physics 1, United States History, Calc AB, English Language, Environental Science, or United States Government, leave a comment at majesticgoldenrose.weebly.com and I can email you lots of resources and tips.